IEA recommends measures to help improve the fuel efficiency of ships. 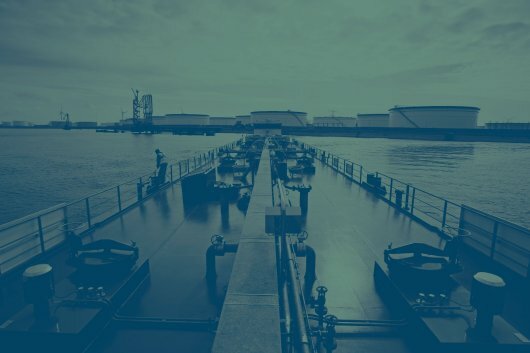 The International Energy Agency (IEA) says the international shipping industry is "not on track" to meet fuel efficiency requirements that would enable the world to achieve its 2025 2-degree scenario (2DS) temperature targets. In its latest survey, entitled 'Tracking Clean Energy Progress: 2017', the IEA observes that meeting the 2DS would require the global shipping fleet to improve its fuel efficiency per ship kilometre with an annual rate of 2.3% between 2015 and 2025. Yet, the Energy Efficiency Design Index (EEDI) of the IMO, applying to new ships only, results in a 1% annual improvement in the efficiency of the global fleet from 2015 to 2025. As a result, the gap in ambition between these rates of improvement would need to be addressed to achieve the 2DS, the IEA notes. According to IEA statistics and United Nations Conference on Trade and Development (UNCTAD) activity data, the energy used by the global shipping fleet per tonne kilometre declined by 2.2% between 2000 and 2014. This, the IEA says, suggests the EEDI will prevent the backsliding of energy efficiency, but not the reduction of GHG emissions beyond historical trends. "Fuel price increases due to the sulphur cap could stimulate interest in efficiency and reduce energy use, but technologies that reduce SOX emissions - except for advanced biofuels, low-carbon synthetic fuels and, to a much lesser extent, LNG - will not lower GHG emissions," the IEA says. Commenting on recent trends, the IEA observes that the IMO has "made progress" in agreeing on regulations on reducing sulphur oxide (SOx) and nitrogen oxide (NOx) emissions from ships. However, it points out that GHG policy is still under consideration: an initial GHG strategy is expected by 2018, which will be a stepping stone to the final strategy expected by 2023. "Implementing IMO's final GHG strategy only by 2023 will have very little impact on the possibility of meeting 2025 2DS targets," the IEA states. According to the IEA, getting on track with the 2DS requires an annual efficiency improvement of 1.9% MJ per vehicle kilometre (MJ/vkm), and 2.3% MJ per tonne kilometre (MJ/tkm), between 2015 and 2025. The IEA states that this can be achieved by exploiting the efficiency improvement potential for new and current ships and the adoption of operational improvements. Based on 2016 estimates, the IEA says efficiency technologies available today could roughly halve the average fuel consumption per vehicle kilometre of new ships. This would also need to be complemented by the use of advanced biofuels, the IEA adds. The IEA, therefore, recommends defining a GHG emissions mitigation target for international shipping as a first step to getting on track with 2DS targets. Raising the ambition of the EEDI, introducing mandatory standards on operational efficiency (also requiring proper monitoring of ship performances) and pricing GHG emissions are described as being "effective instruments" to move in this direction. "Strengthen enforcement mechanisms for emissions from ships and the EEDI, including inspections, sanctions and legal frameworks, to ensure compliance with IMO measures. Stimulate the engagement of ports in encouraging GHG reductions in ships, e.g. with bonus/malus schemes supporting clean ships from fees applied to ships with poorer environmental performances. Introduce carbon taxes on shipping fuels based on their life cycle GHG emissions," the IEA recommends. Stressing the importance of the IMO in the implementation of new standards, the IEA says: "[The IMO] is the major forum in which this vision can be developed and implemented. Proactive action in the IMO is paramount to successfully reduce GHG emissions from international shipping." The IEA states that long-term investment decisions will need to be taken by ship owners, operators, financiers and refiners in order to reduce local pollutant emissions. "In the absence of rapid signals to steer these decisions towards GHG emissions reductions goals, investments aiming only to reduce only local pollutant emissions will run serious risks to be stranded when pressure on shipping to contribute to the low-carbon transition will grow."